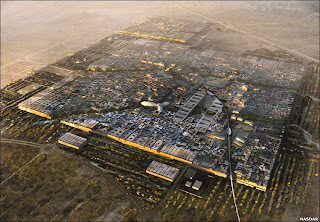 Sonia Angus: Masdar City… The Future is Coming? 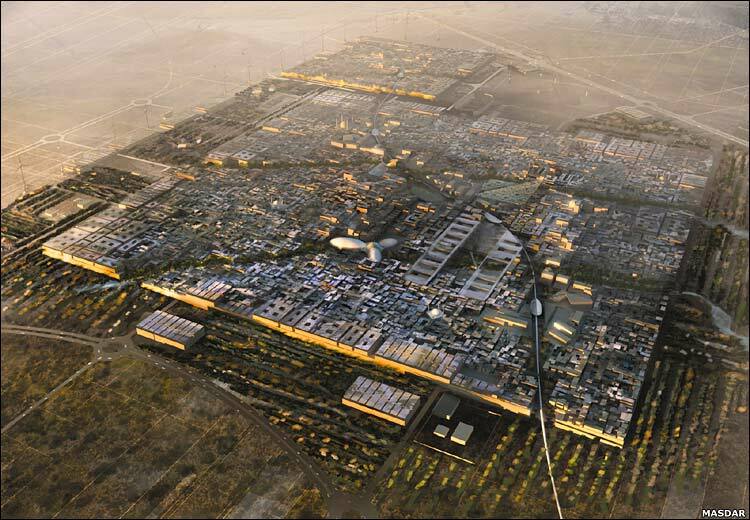 Masdar City… The Future is Coming? 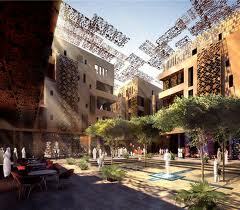 It was only recently I heard about Masdar City. It has not been built yet but is currently in the process and when it is finished it will be the world’s first carbon neutral city! 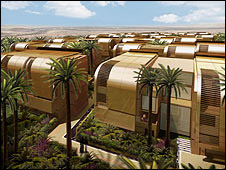 The city has been designed by British architects Foster and Partners and will be built in Abu Dhabi. The project looks to cost between £10 billion and £20billion and will be paid for by the ruler of Abu Dhabi. It is said to be finished in the next ten years and when it is it will have a university, house 50,000 people and 1,000 businesses. Masdar City believes “Only use energy when you’ve exhausted design.” Therefore to try and keep energy usage to an absolute minimum solar power will be predominantly used. A huge solar farm was built and experiments have been carried out with mirrors that reflect the sun down a beam to produce heat and drive generators. Solar power shouldn’t be a problem for this country as they have no shortage of sunny days unlike rainy Dundee. Some electricity will still be used however for gadgets and air conditioning. All the sun in Abu Dhabi is great for solar power but creates the problem of how to keep the city cool for its residents. The designers have made Masdar a compact city, like the ancient Arab cities, so buildings are close together creating shade and wind towers will be built to drive cool air through the streets. The buildings are covered in a mesh that will keep sun out but let the breeze in. Hopefully together this will help cut down the use of air conditioning systems. The city is surrounded by a wall, everyone must enter through the gates of the city and if they have a car this is where it must be left. The city has been designed for people to walk around it is compact so most things should be in walking distance. However if you don’t fancy walking you can go below street level where there will be pod cars which will be programmed to take you anywhere you ask. These cars are solar powered and guided by magnetic sensors, they don’t have a driver! The pod cars are where it gets a bit too futuristic for me and I start thinking about films like ‘i-Robot’ and ‘Minority Report’. I’m glad to see someone taking a huge step and creating a city like this. It’s quite ironic how it is being built in Abu Dhabi which is know for its oil production but it will be great to see when it’s finished. It will also be something other architects and designers can learn from, we will be able to see the mistakes they’ve made and what brings success. I would love to visit to see it for myself when it’s finished and take a ride on a pod car! I will definitely be watching to see the results of this project. Standing tall for all to see in the centre of the city will be a light which will show the city’s actual energy use. Red will show when too much energy is being consumed and blue will be a comfort as it will show that the city has achieved what it set out to; being carbon neutral. Assignment 3 (A): Service Design Tools. Assignment 2: What Images mean.